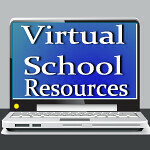 Virtual School Resources: Back to School Blast Giveaways! 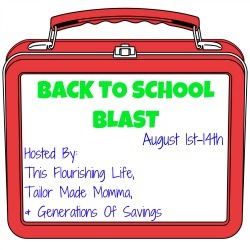 Welcome to the Back To School Blast hosted by This Flourishing Life, Tailor Made Momma, and Generations Of Savings. This event features items for all of your back to school needs. Each blog participating is giving away a prize or prize pack with a minimum value of $25, and the hosts are giving away prize packs with a total value of $1000! Grand Prize: This Flourishing Life, Generations Of Savings, and Tailor MadeMomma are all hosting the grand prizes on their blogs. They are featuring prizes totaling $1000 in back to school gear for all ages. Head on over to their sites to enter! But before you go, be sure to enter to win my awesome prize! "The No Brainer Way to SAT*" Success! Featured on NBC, CBS & Fox! Read my review on this amazing program here! Entering is easy! Just follow instructions in the rafflecopter below! 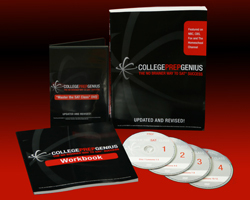 Congratulations to Lisa H., the winner of the CollegePrepGenius Program! I received a College Prep Genius Course in exchange for this giveaway. I'm a college student, soon to take the MCAT. I could use this to study. It can't hurt. My oldest son is a high school senior this year. We could really use this! My oldest son is taking the test early sept, and then I will have 5 more kids taking it after that. My oldest son is graduating next year and can really use this. I want to win to give it to a friend who is home schooling and her son will graduate in 2014 so it is time for him to prepare for the SAT.